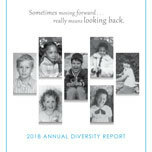 The Diversity Committee's 2018 Annual Report, which highlights the group's 2018 initiatives and 2019 goals, has been published. At Moore & Van Allen, we recognize that having people with different racial, ethnic and religious backgrounds, countries and regions of origin, genders, generations, physical abilities and sexual orientations is critical to our ability to provide the highest level of legal services. By fostering an inclusive work environment, we come together as one extraordinary team with the common purpose of providing truly outstanding legal services to our clients. Our commitment to diversity goes beyond our Firm to the communities we serve through extensive outreach initiatives. These core principles are embraced by the Firm’s leadership. Our managing member serves on the Firm’s Diversity Committee. To learn more about the Diversity efforts at Moore & Van Allen, contact Diversity Committee Co-chairs Valecia McDowell and Amy Johnson, or Stephanie Gryder, Manager of Diversity and Community Initiatives. MVA was the founding firm member of the Mecklenburg County Bar's Legal Diversity Clerkship Program, and an initial signatory of the Mecklenburg County Bar’s Call to Action Diversity Initiative. We have developed mentoring programs specifically geared toward minority and female associates. Cabell Clay was selected as the 2018 Woman of the Year by the Women Lawyers of Charlotte.